This means that the acceleration itself might not have a constant value in the universe but changes over time in the universe. Yet another attractive possibility ( according to Quantum FFF Theory) is that dark matter (an invisible form of matter not made up of protons, neutrons, and electrons) interacts more strongly with normal matter or radiation than previously assumed." 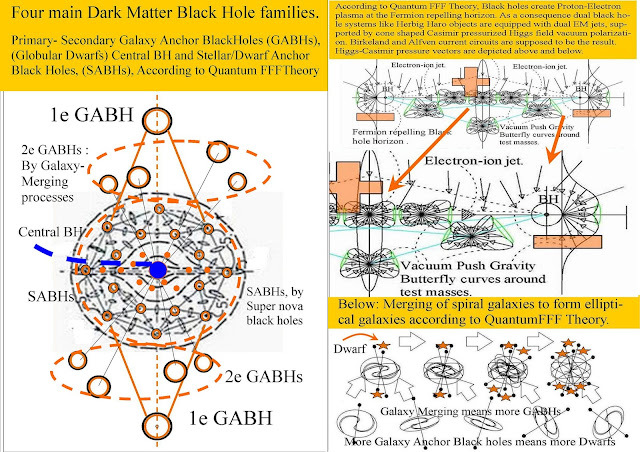 Dipole Repeller Gravity Effects at Different Universal Scales as the Origin of Large Scale and Local Quantum Gravity and Hubble Redshift. 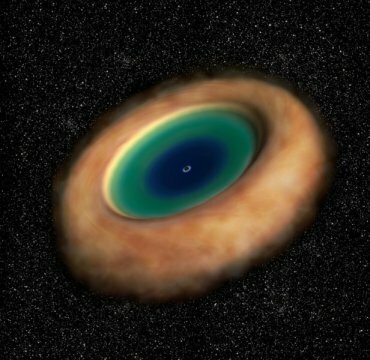 "The fact that these stars exist so close to the supermassive black hole is unusual because they are so young; how they could've formed in such a hostile environment is a mystery." 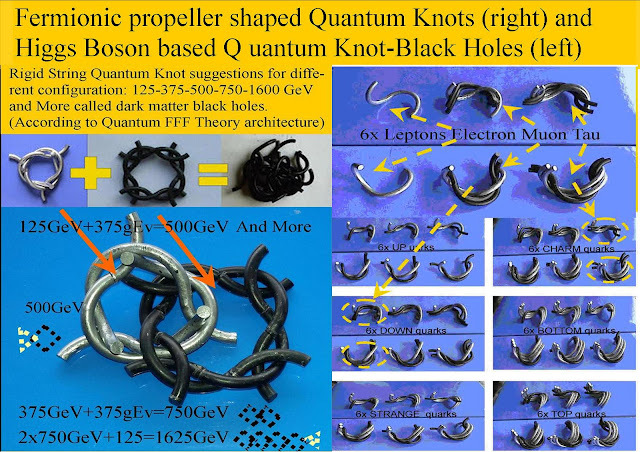 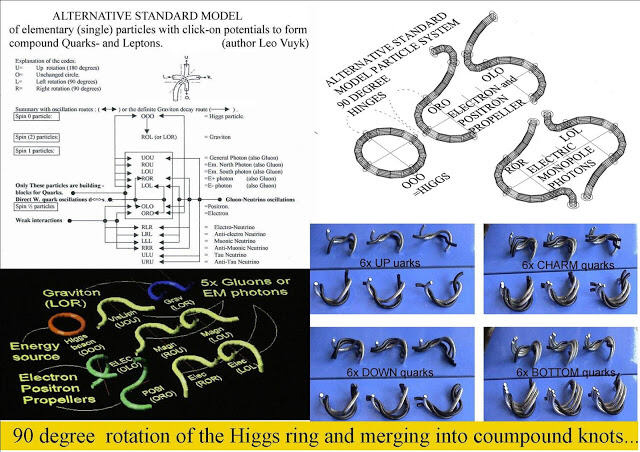 In Quantum FFF Theory, the Higgs Quantum knot of 125 GeV is assumed to be made out of monopole magnetic photons able to interfere with each other into a three particle knot. 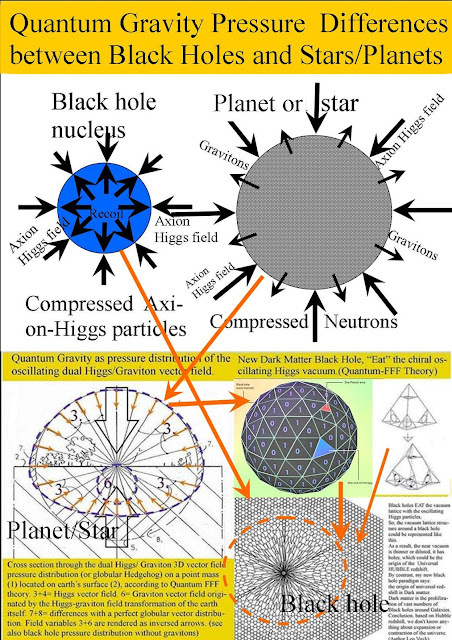 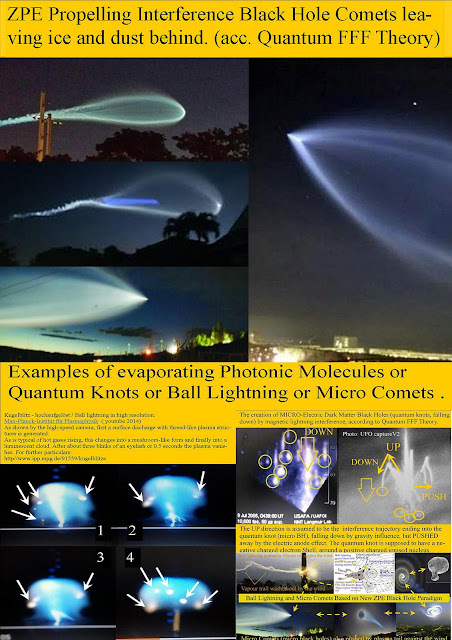 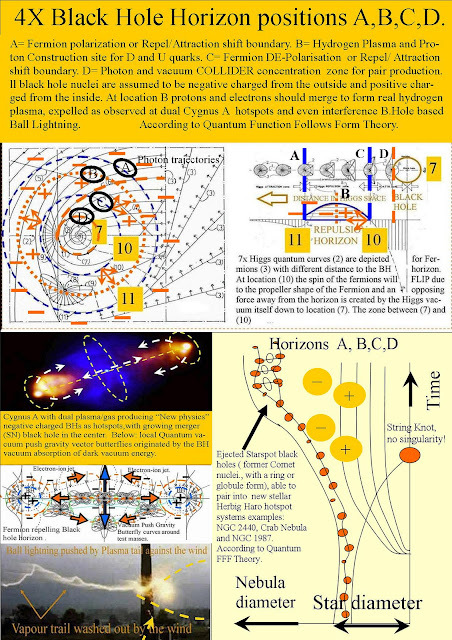 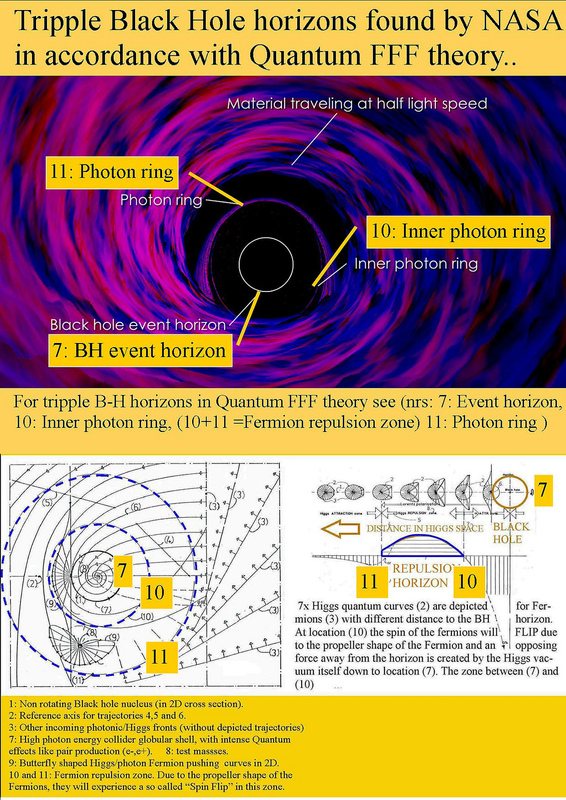 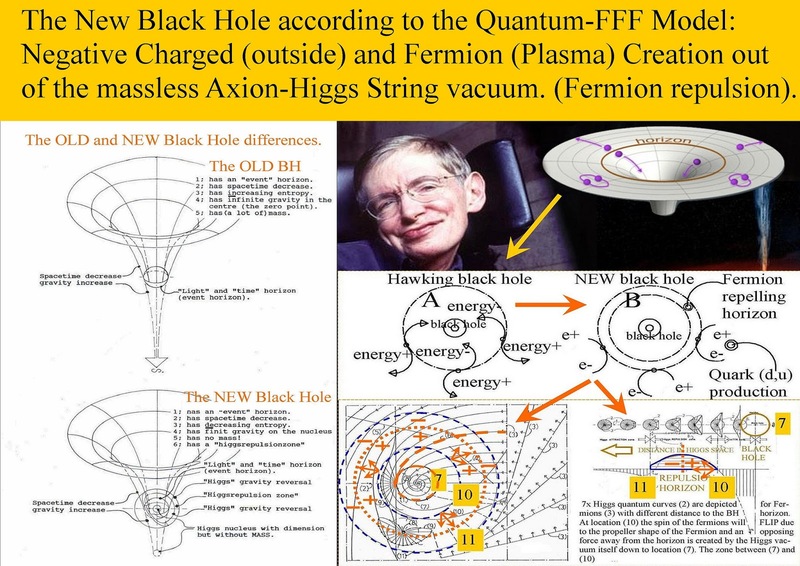 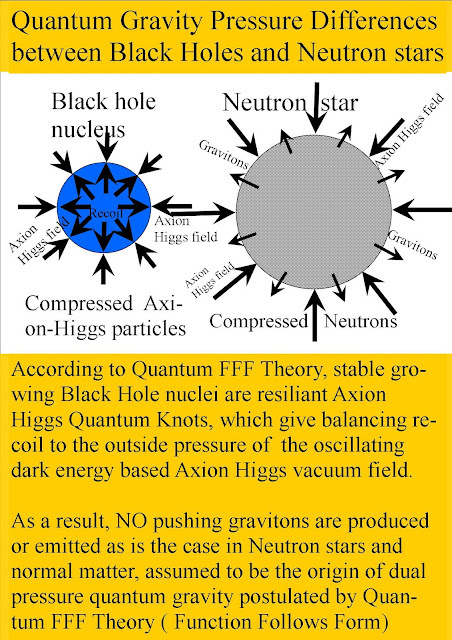 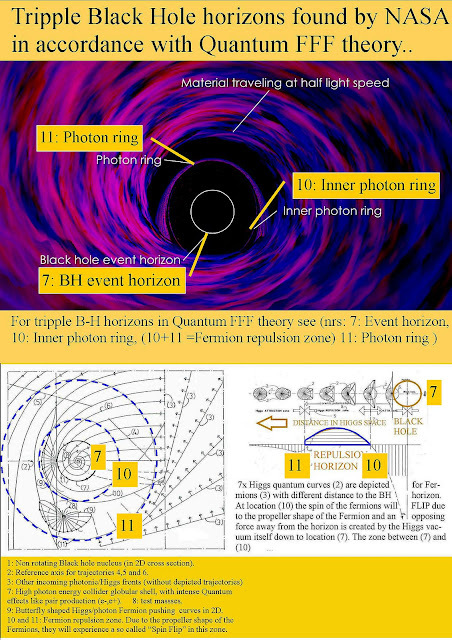 However, All massive Higgs particles are assumed to be the base for stable- and unstable ( Ball lightning) black holes. 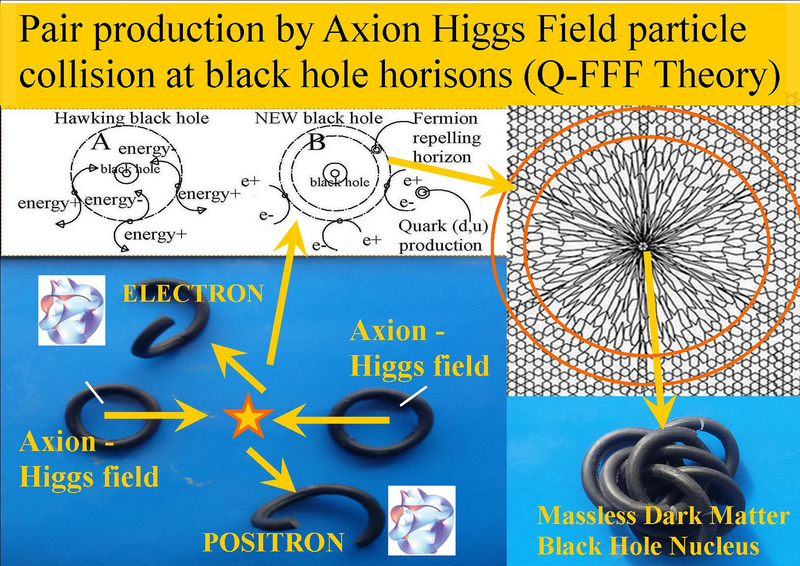 The mass less Axion Higgs ( ring shaped) is assumed to be the oscillating vacuum particle and responsible for dark energy and Casimir effect. 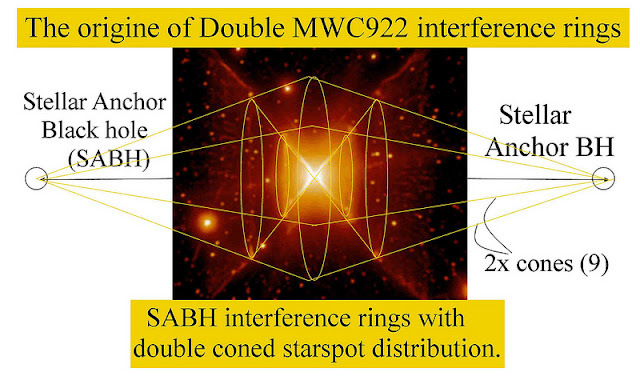 Dual Speedy Galaxy Outflows related to dual Galaxy Anchor Black Hole (GABH) systems. 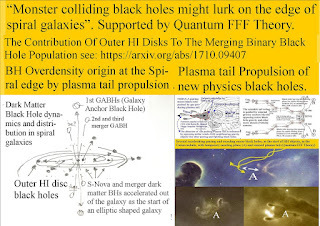 A new look at DUAL speedy outflows explained by Quantum FFF Theory..
A: the dual Galaxy Anchor Black Hole system (1st GABH) which was responsible for the creation of the ( Herbig Haro) Star/Galaxy system. 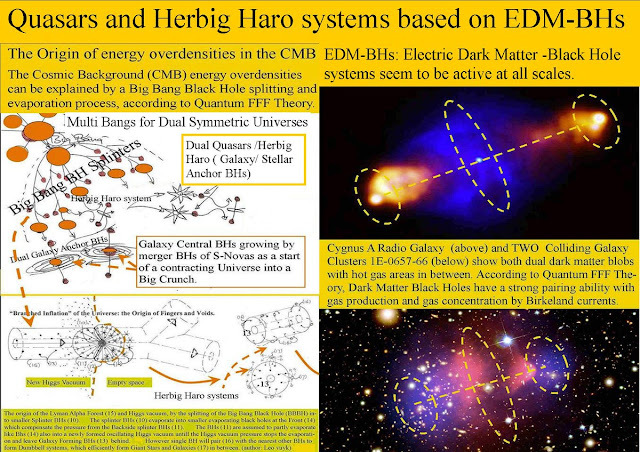 Also supporting the Herbig Haro dual Electric Dark Matter BH (EDM-BH) galaxy system postulate as the origin of fast star/ galaxy formation after a cold Black Hole exploding Big Bang. And supporting the cyclic ( bouncing) universe idea, by a large scale BH and galaxy merging process in combination with the continuous absorption of the oscillating Axion Higgs field vacuum (Space Time) by all EDM-BHs. 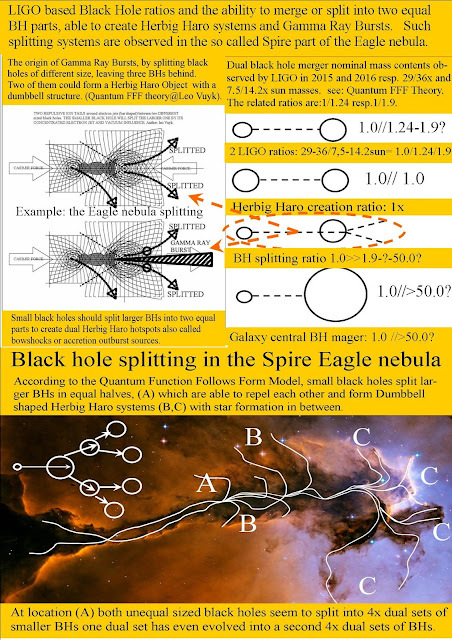 This space time absorption is also assumed to be the origin of increasing (Hubble) redshift of "standard candles" far away. 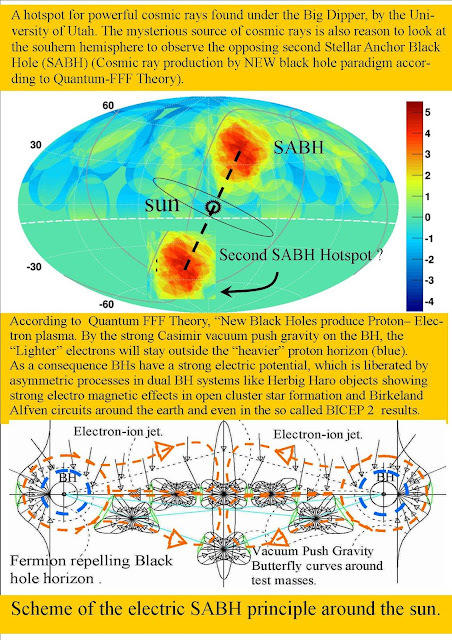 Vacuum absorption around a BH and dual pressure gravity around normal massive objects. 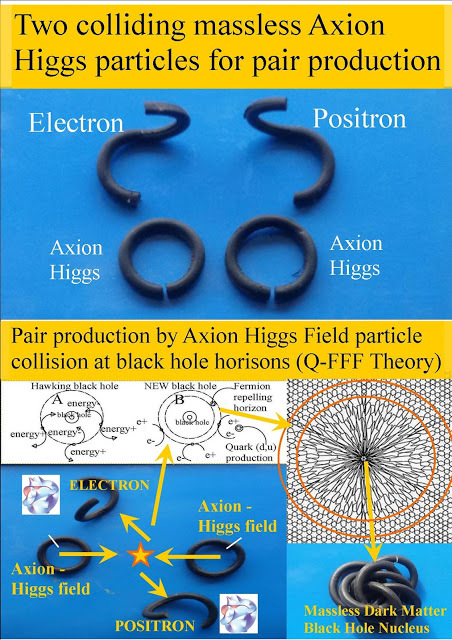 How spinning fast milling Fermion strings are able to cut Axion Higgs vacuum particles into different monopole strings, to be ejected in specific axial directions . 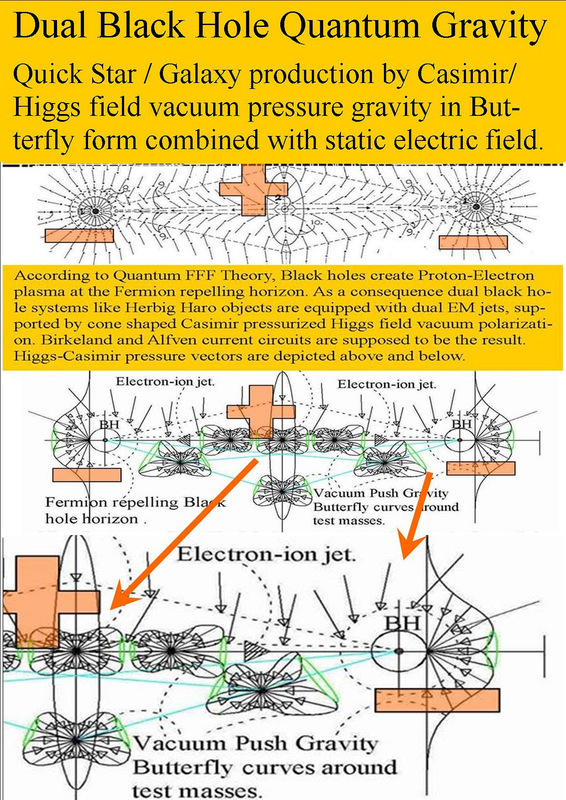 light/x-ray/ 2x electric and 2x magnetic photons and 1x graviton. How up and down atoms are imagined in Q-FFF Theory. 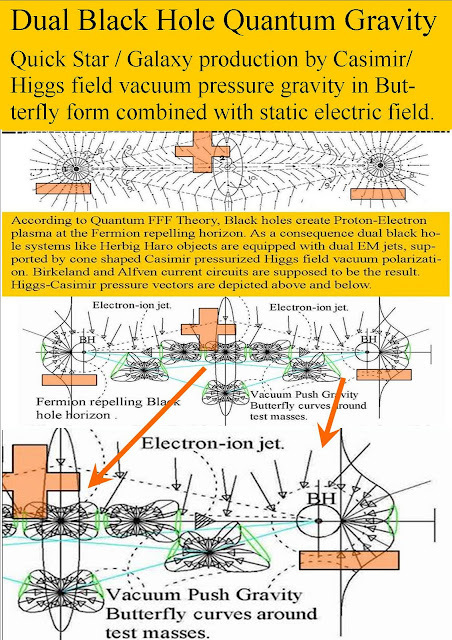 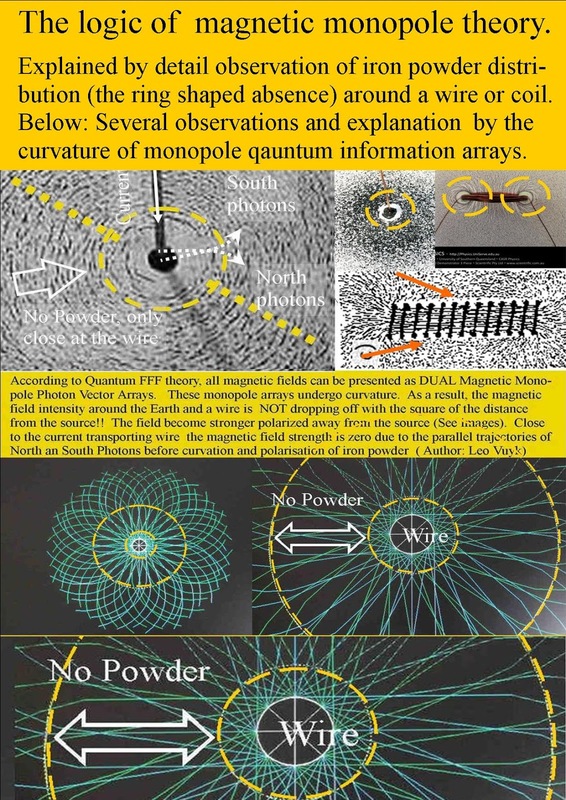 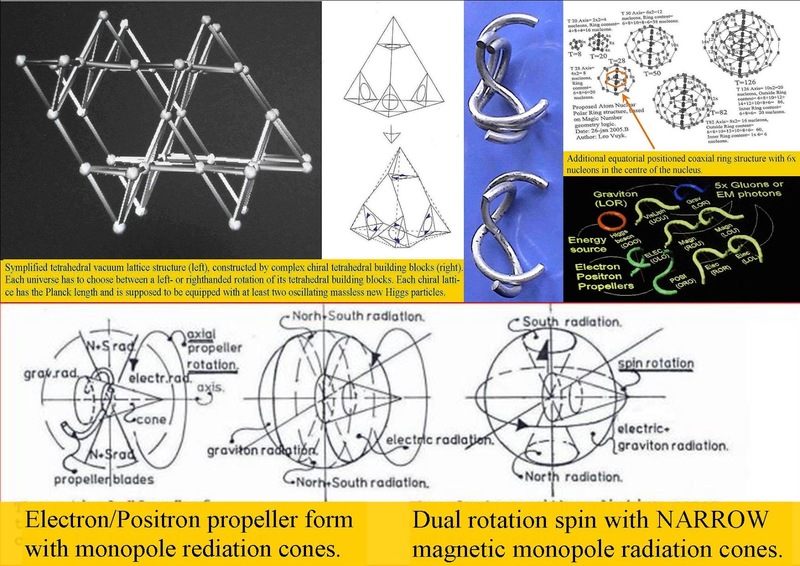 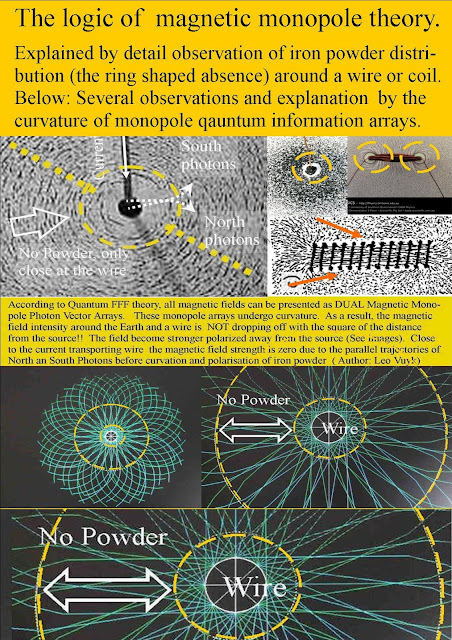 Magnetic Monopole interference ball lightning black hole production above thunderclouds. 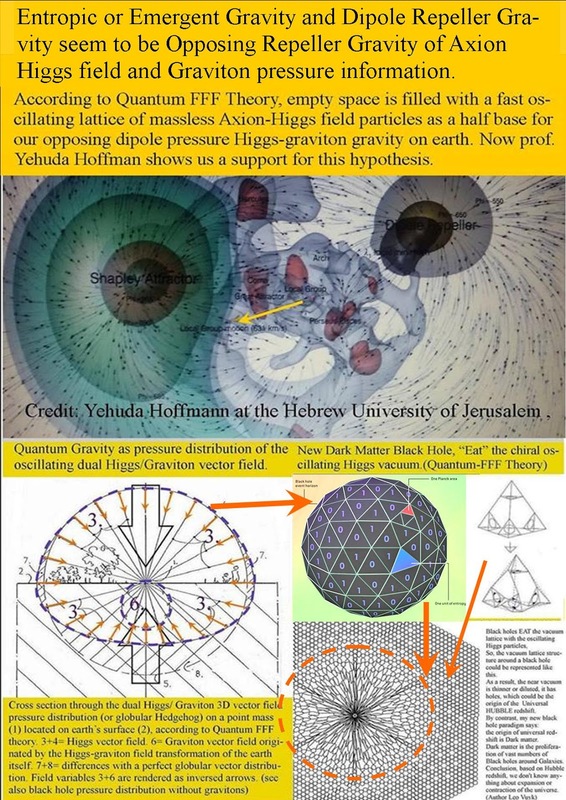 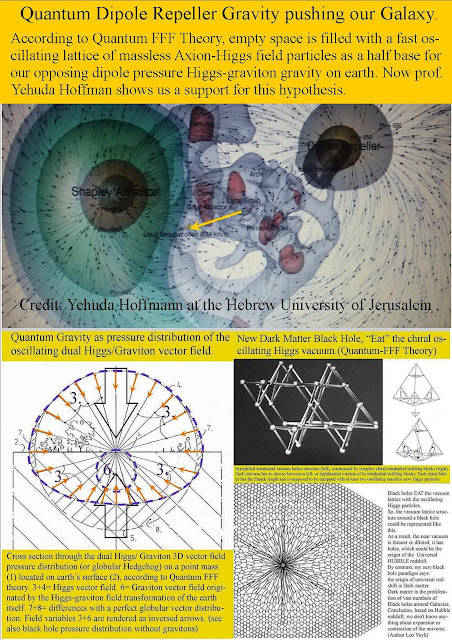 Hyperunified field theory and gravitational gauge-geometry duality. 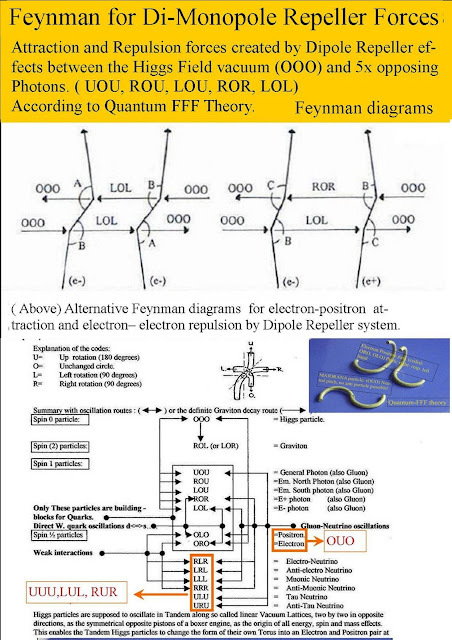 A support for Quantum FFF string Theory. 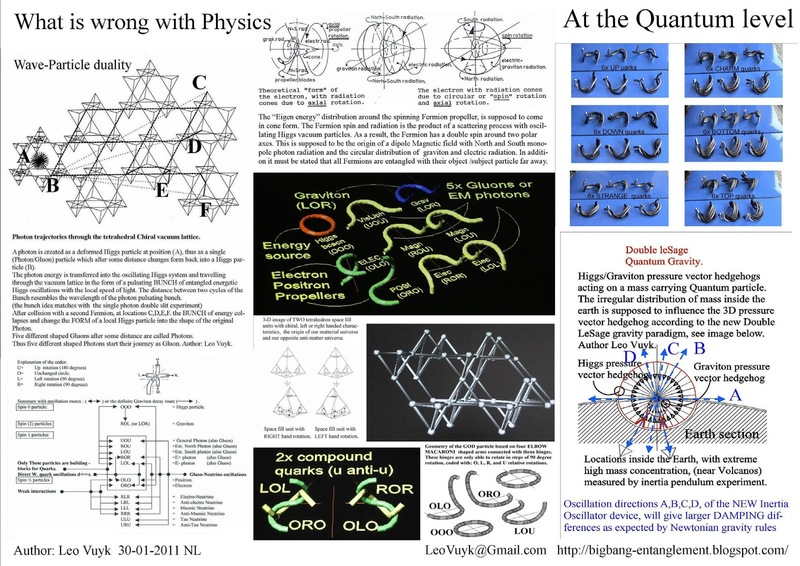 Because Gauge geometry duality is in Quantum FFF String Theory the base for all forces . the universe need duality to create pressure and attraction forces . 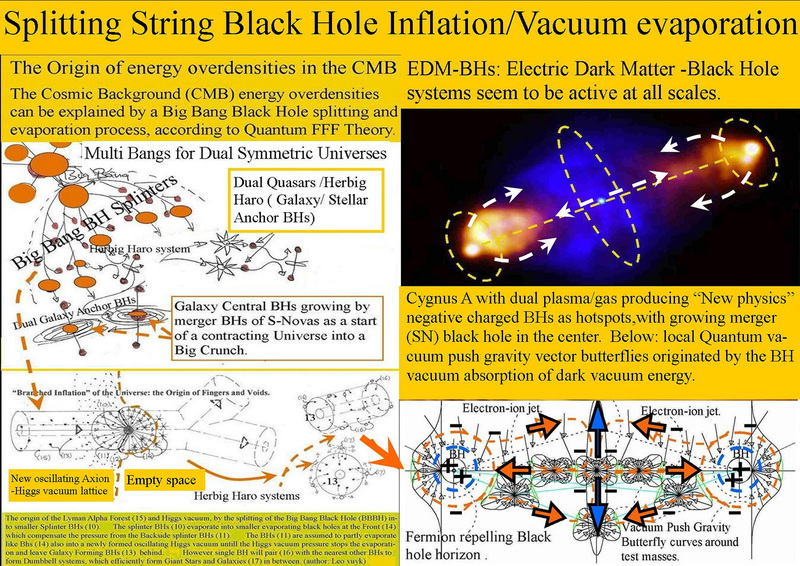 Emergent Gravity by Dipole Repeller Rigid String Pressure the Origin of Quantum Gravity and Non Inertial Black Holes. 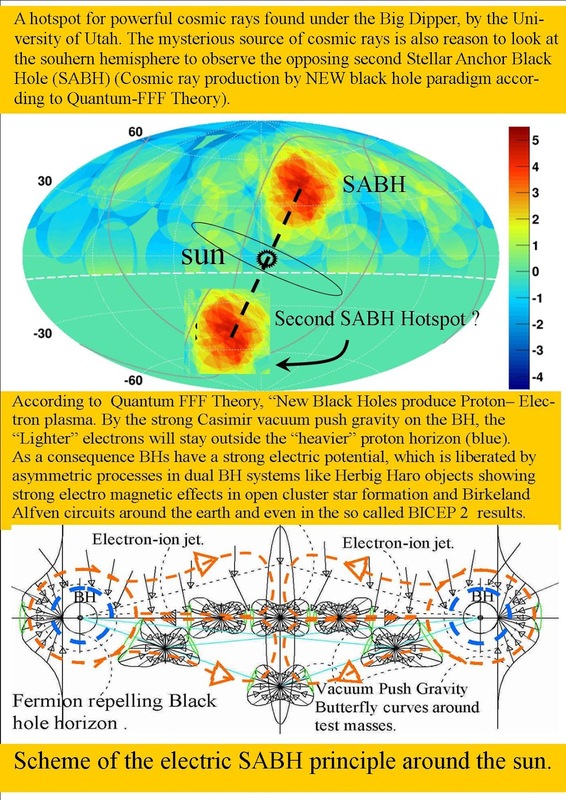 "The hyper-spin gauge field AAB M associated with the bicovariant vector hyper-gravifield χ A M is taken as the basic force field to realize the hyper-spin gauge symmetry SP(1,Dh-1). 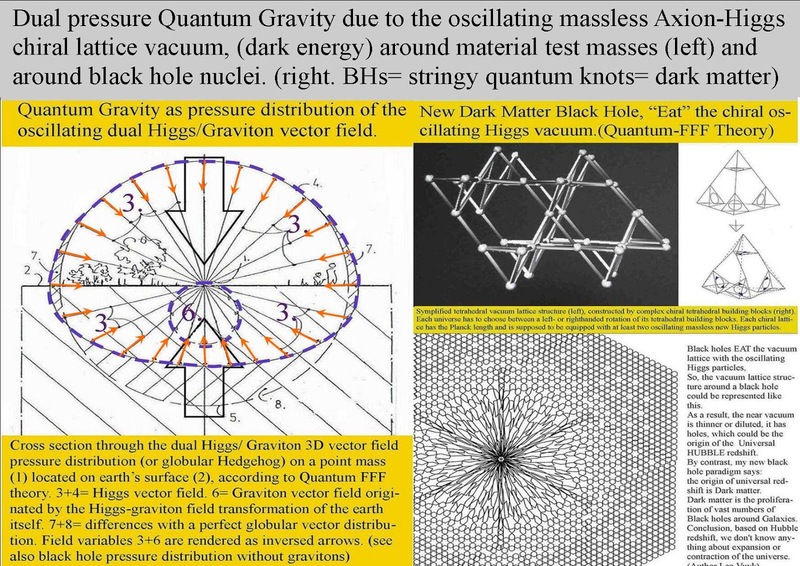 From the hyper-gravifield fiber bundle structure of biframe hyper-spacetime, the gravitational interaction has been formulated as the gauge interaction of the hyper-gravifield χ A M based on the general hyper-spin gauge invariance with the general gauge massless condition shown in Eq.(205). 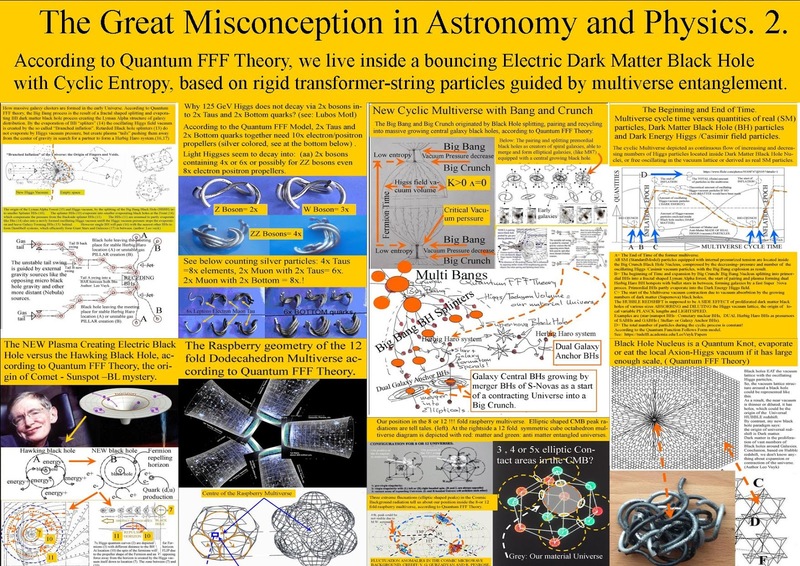 We have focused in this paper mainly on the building of hyperunified field theory from the bottom-up approach. 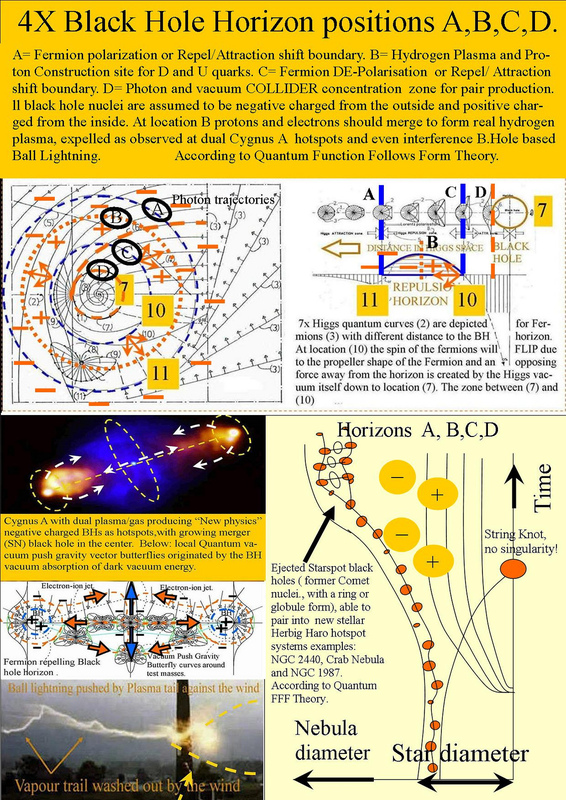 The basic properties of hyperunified field theory and the issue on the fundamental mass scale have been discussed within the framework of QFT, which allows us to derive the gauge gravitational equation with the conserved hyper-gravifield current and deduce the geometric gravitational equations of Einstein-like and beyond corresponding to the symmetric and antisymmetric hyper-stress energy-momentum tensors in hyper-spacetime. 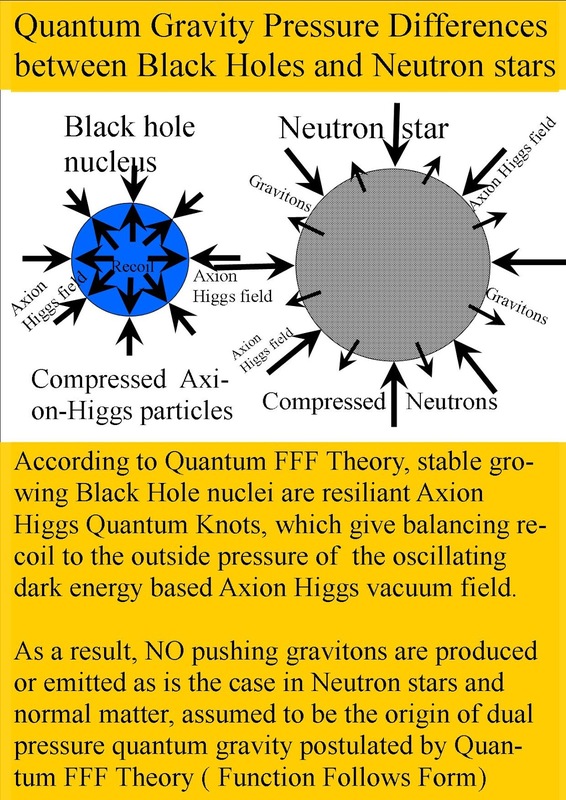 Once a hyperunified field theory is established, a more sophisticated task is to figure out a realistic model to describe the real world from the top-down approach. 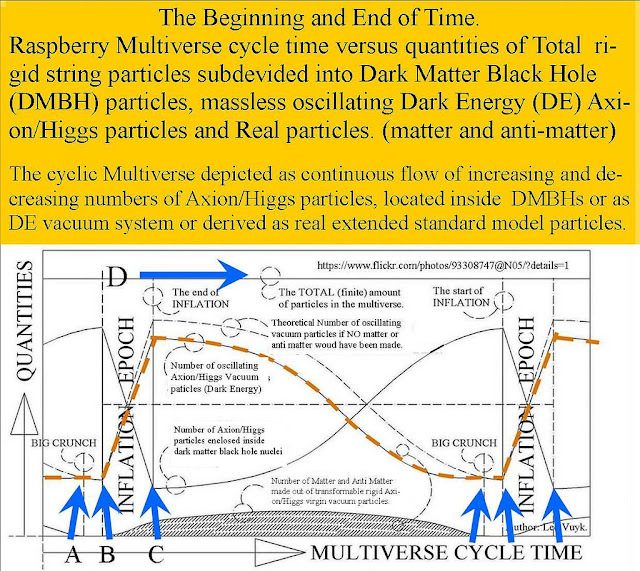 It is inevitable to carry out the basic issues, such as: how to realize an appropriate symmetry breaking mechanism and a reliable dimension reduction to reach the observable four-dimensional spacetime of the real world; how to reproduce the standard model with three families of quarks and leptons and explain the observed matter-antimatter asymmetry and the dark matter component in the present universe; how to reveal a potential inflationary period of early universe and understand the observed accelerating expansion of present universe with the dominant dark energy component"
Cosmic rays produced by Dual Solar Anchor Black Holes (SABHs) or by giant galaxy clusters far away. .
Dual Solar Hotspots as remnants of former Herbig Haro system suggested in 2014, by Quantum FFF Theory and found later (2015) by K.Kawata et all. 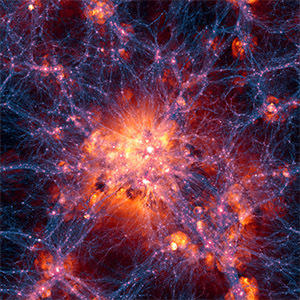 and others (UHECR). 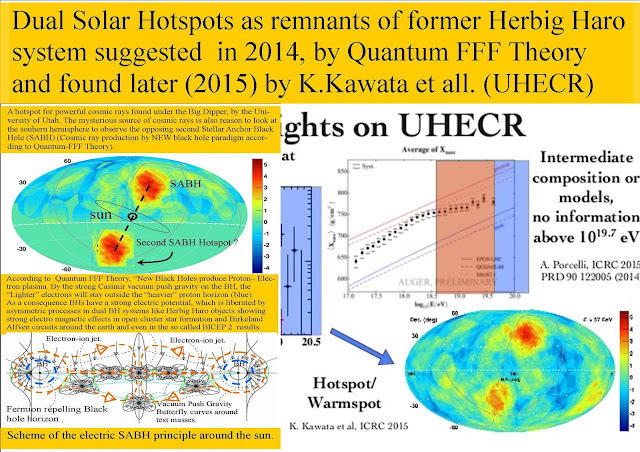 However, In UHECR terms these hotspots are assumed to beproduced by giant galaxy clusters far away.!! 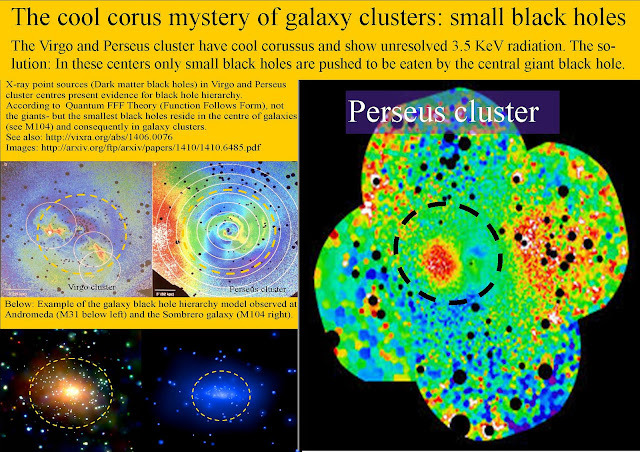 The Virgo cluster does not show up as hotspot, conclusion of UHECR: Virgo is too small to produce a real hotspot. 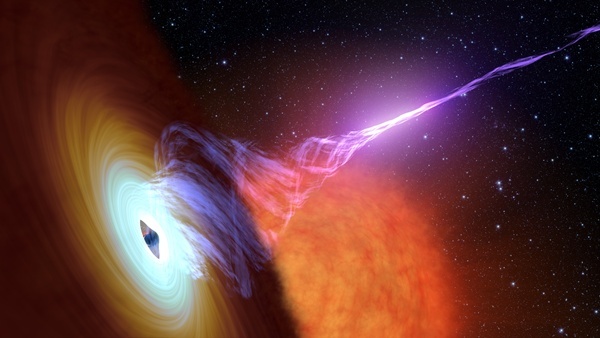 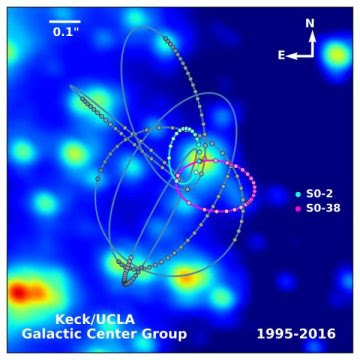 Stellar Anchor Black Holes as the Remnants of Former Herbig Haro Objects and as Cosmic Ray Hotspots.